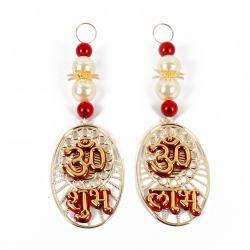 Product Consists : Shubh Labh Acrylic Sticker Hanging Set. 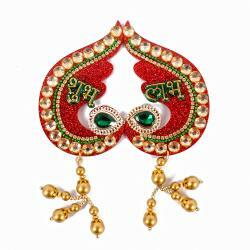 Shubh and Labh both are the sons of Ganesha. Shubh means goodness and Labh means benefit. So basically Shubh and Labh mean Good luck and Prosperity in traditional Indian Culture. 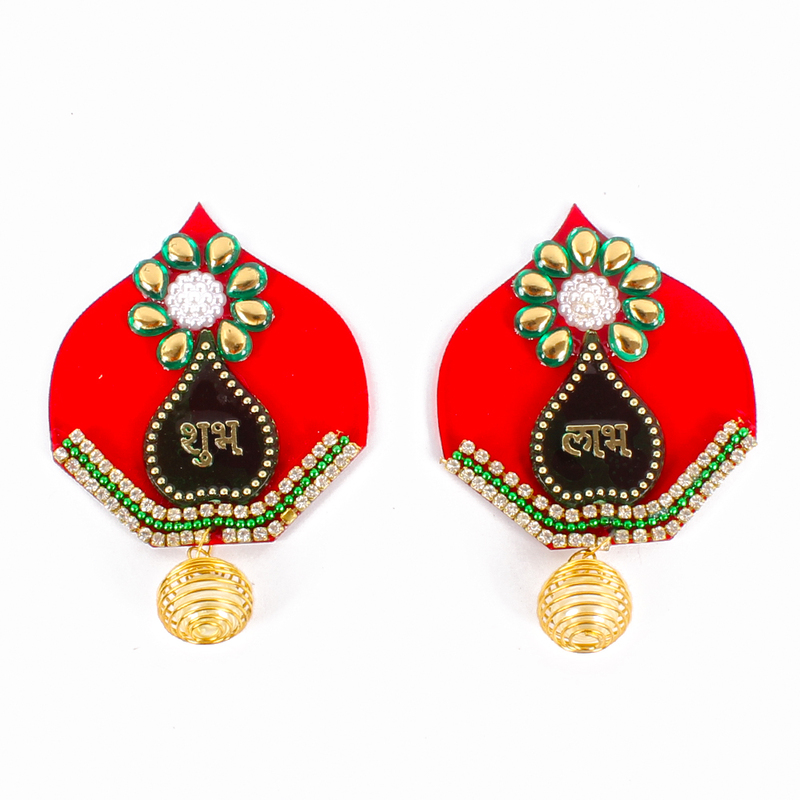 This is a beautifully handcrafted 2 pieces Indian home decor item door or wall hanging which is made of good traditional color acrylic base and nicely decorated with matching stones, artificial pearl effect, Stuuded diamonds work and attractive small pearl drop covered in golden rings. You can hang on your entrance of the door, temple room door, or on your wall. It is a great gift idea for house warming ceremonies and other festivals Like Diwali, New Year and many more. 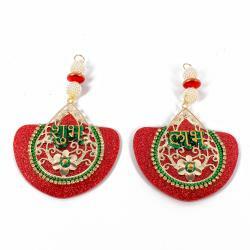 Product Includes : Shubh Labh Acrylic Sticker Hanging Set.